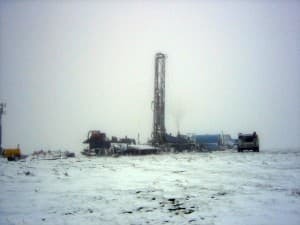 The persistent low price of natural gas continues to push coal-bed methane gas operators in the Powder River Basin to the brink of bankruptcy, leaving some 8,000 to 9,000 wells idle — many of them at risk of mechanical failure. Usually the bonds posted by companies facing bankruptcy fall short of covering the cost to plug, abandon and reclaim orphaned wells, which is required to prevent environmental damage. The obligation and costs to fix and reclaim the wells then shift to the state. Wells that are left unused but not plugged and reclaimed present a human health hazard and can lead to water and soil pollution. This month, Wyoming Oil and Gas Conservation Commission supervisor Tom Doll told legislators he needs $2 million for the state’s “orphan well” fund — twice the normal appropriation for the biennium. The fund is used to permanently close wells that have been abandoned, usually as the result of bankruptcy. 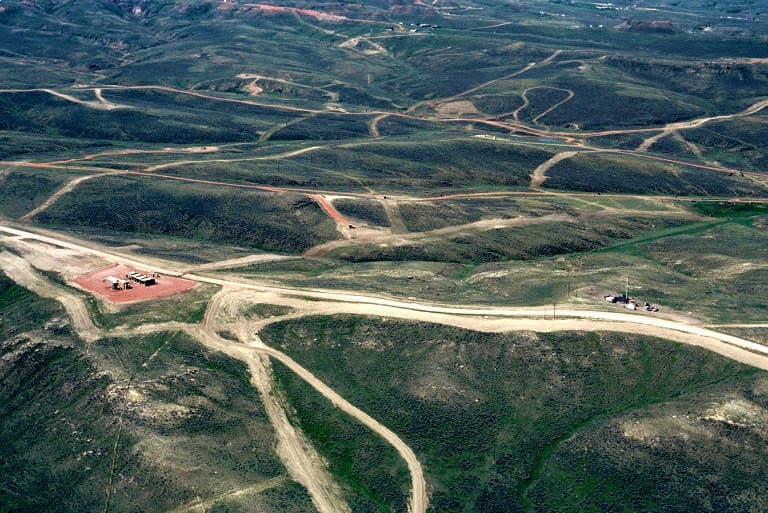 “The request was made due to concern that several current coalbed methane operators could go bankrupt within the next two-three years at these low gas prices,” Doll told WyoFile via email. But one California company new to the CBM industry, joining forces with Sen. Kit Jennings (R-Casper), is proposing that instead of taking over and cleaning up old wells, the state give CBM operators a three-year breathing space to try to get those old wells going again, working with the new process of microbial stimulation to boost to CBM production. 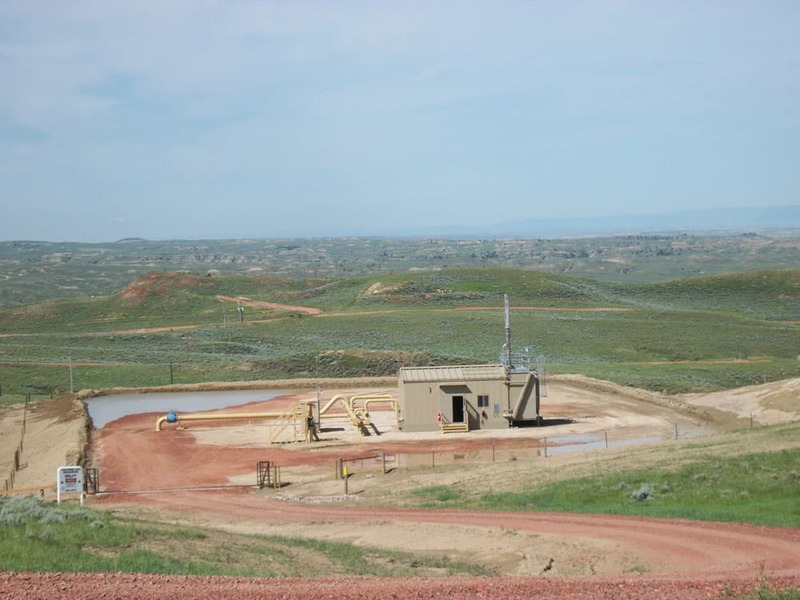 The company, USA Exploration & Production LLC, was tempted into buying old Wyoming CBM wells by the apparent promise of “biogenic” technology to boost gas levels in old wells through the work of microbes feasting on coal. 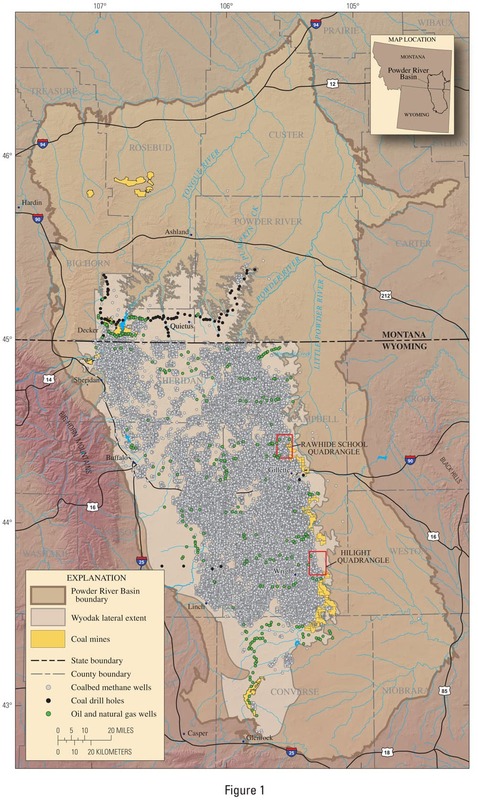 The process remains untested at commercial scale in the Powder River Basin, but the state of Wyoming and the University of Wyoming regard biogenic coal-bed methane production as a promising way of maintaining long-term production in the Powder River Basin. Commissioner Ryan Lance, who also serves as director of the Office of State Lands and Investments (which also has a stake in idle CBM wells on state mineral leases), noted that hundreds of idle CBM wells are insufficiently covered under operator bonds. USA Exploration, and others, are essentially asking the state to assume liability for the wells until the operators can eventually launch their microbial stimulation operations, he said. If legislation for a moratorium on plugging CBM wells does go before lawmakers, it would likely meet skepticism from regulators and environmental groups. Appropriations to the orphan well fund come from Wyoming’s Conservation Tax — a mill levy currently set at .0004 of a mill on the dollar for the market value of all oil and gas produced in the state. Doll said that a $2 million appropriation for the upcoming biennium will not require an increase of the mill levy. In October the account balance was $14.1 million, he said. But if natural gas prices don’t rebound soon, the bankruptcy and idle well problem in the Powder River Basin will only get worse and the mill levy might have to be increased. Separate from the Conservation Tax account, the Oil and Gas Conservation Commission holds more than $137 million in various bonds — letters of credit, certificates of deposit, cash, surety bonds, etc. — posted by oil and gas operators. In 2010, the state hired contractors to “plug and abandon” 122 orphaned coal-bed methane wells at a cost of $867,000 ($321,000 from cashed-in bonds, $546,700 from the orphan well fund). Since, the number of orphaned wells has increased substantially. 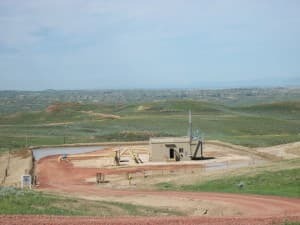 A few years ago, California businessman John Castellucci heard of a promising opportunity in Wyoming’s stagnated coal-bed methane gas play in the state’s northeast corner. After a decade of boom-style drilling and production, the sinking price of natural gas had erased the industry’s steadily narrowing profit margin. Thousands of wells were shut-in and went up for sale. Castellucci, president and CEO of Malibu-based USA Exploration & Production LLC, said he was told of a promising approach to revive Powder River Basin coal-bed methane (CBM): microbial stimulation. Luca Technologies and Ciris Energy were in the hunt for idle CBM wells to test their microbial stimulation technologies. Those technologies are based on the fact that microbes living in the coal produce methane from the coal. Some in the CBM industry believe they can boost the biogenic process enough to restore commercial levels of methane production by either stimulating the native microbes with nutrient injections, or by adding more microbes. Yet, any secondary or tertiary recovery of CBM after the initial phases of production relies heavily on the price of natural gas. Natural gas prices averaged around $6 per thousand cubic feet (mcf) for much of the CBM boom (1998-2008) and even peaked near $15 per mcf for a short period. But prices for CBM operators have remained below $4 per mcf in recent years. And with a glut of gas in the U.S. market from new shale gas production, industry analysts believe it could be a while before prices improve much. CBM wells typically produce at smaller volumes and for a shorter period of time than the deep shale gas and tight-sands gas wells which are the primary focus of the industry today. 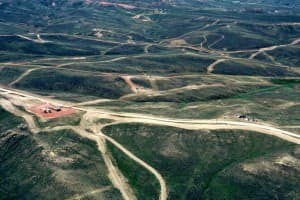 However, the idea of enhanced biogenic methane production from Powder River Basin coals is attractive to some because the expensive infrastructure — pipelines, powerlines, compressors — is already paid for and in place to move gas to market. Castellucci was sold on the idea of biogenic stimulation so he invested heavily in Powder River Basin wells: $3 million, representing the bulk of his capital, he said. But reviving the wells is a slow, expensive and ultimately uncertain process. 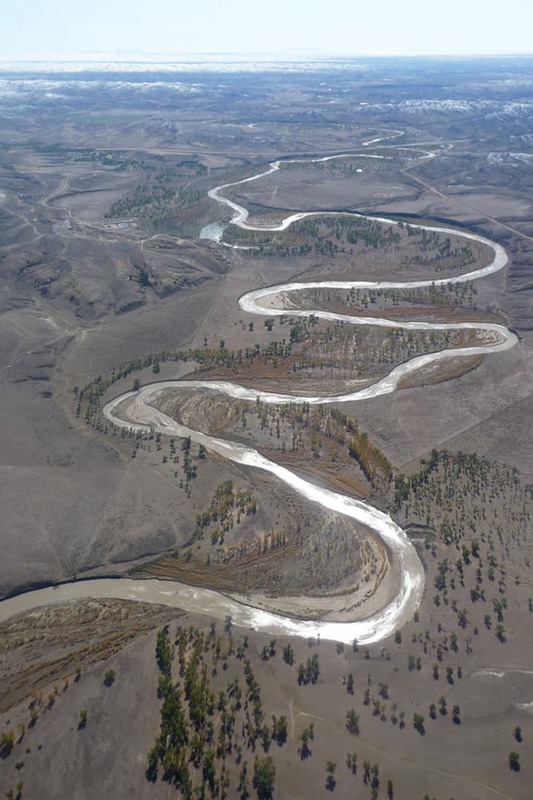 State regulations had to be modified before agencies could begin to process permit applications for biogenic stimulation proposals, although the state has allowed several test-runs of microbial stimulation in the Powder River Basin. Castellucci said the state’s five-year “mechanical integrity testing” requirement for idle wells came due on a large number of his company’s wells shortly after he purchased them; a requirement that went unfulfilled. Oil and Gas Commission staff said some of USA Exploration’s CBM wells have been idle for seven years without any mechanical integrity testing to ensure they do not pose human health and environmental risks. “This is much bigger than USA Production,” Powder River Basin Resource Council organizer Jill Morrison told WyoFile. “There are a lot of companies who have not lived up to their obligations to pay the required bonds so we can assure we have wells plugged and abandoned and reclaimed. 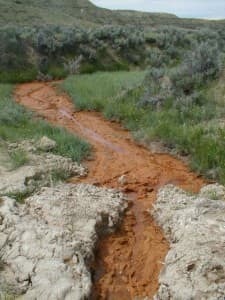 And the state is left holding the liability,” Morrison said, adding that landowners may be exposed to health and environmental risks. Patriot Energy Resources LLC recently failed to meet the commission’s request to post an additional $711,000 in bonding to cover its idle CBM wells in Johnson and Campbell counties. The bond that the state demands is calculated at the estimated cost per foot to close idle wells, ranging from $5 per foot to $10 per foot. State officials say that an increasing number of CBM operators struggle to meet the mounting liability for their idle wells. USA Exploration had posted $139,000 in cash-backed bonds with the state, but was notified more than a year ago that an additional $23,969 in bonding was needed to cover its idle wells. Failing to post the additional bonding, Castellucci was called before the state Oil and Gas Conservation Commission on December 13 to resolve the matter and pay a fine. And the situation only gets worse for Castellucci and the state of Wyoming. In addition to the $23,696 in past-due bonding and a $500 fine, the commission staff recommended that USA Exploration post an additional $631,000 in bonding within 60 days, based on the number of the company’s idle wells and how long they’ve remained inactive with no mechanical integrity testing. Meeting that order, said Castellucci, would force him to “liquidate” his CBM assets and lose his $3 million investment. “Complying with $23,000 within 30 days, that’s not that difficult. Complying with $631,000 in (the recommended 60 days) would be impossible,” Castellucci told the commission. At their December hearing, the commission gave Castellucci 30 days to cover the $23,969 in past-due bonding and pay the $500 fine. The commission also ordered that 273 of USA Exploration’s wells be temporarily “sealed” pending a deal to be worked out with the commission staff. Castellucci says he wants to put 140 of his best CBM wells back into conventional production as soon as possible (without a microbial enhancement process), and use the proceeds from gas sales to begin meeting the $631,000 bonding requirement (or a reduced amount) and past-due mechanical integrity testing requirements, as well as plug some wells that are not good producers. If the staff agrees, it may modify its recommendation to the commission at its February hearing. If the commission isn’t satisfied that USA Exploration can meet the state’s bonding and environmental requirements, it can cash-in the company’s bonds and order the wells to be permanently closed and reclaimed. Commission supervisor Tom Doll said he and his staff work hard to identify CBM operators with idle wells, and seek assurances from the companies that the wells are being properly maintained. Sometimes that assurance comes in the form of additional bonding. Doll commonly helps struggling operators find potential buyers who do have the financial wherewithal to meet the state’s environmental standards. But some in the CBM industry say the state of Wyoming is creating a self-fulfilling prophecy by asking companies that are at risk of bankruptcy to post additional bonding which only saps more cash and credit for small operators. And, Castellucci and others argue, permanently closing wells will only serve to kill the CBM microbial stimulation industry before it gets started. “It’s counter-productive to impose big bonding requirements on small companies because it just takes away money that could be going toward getting wells back in operation,” Castellucci told WyoFile. So CBM operators are not only pleading for leniency with the state oil and gas commission, but they plan on asking the Legislature to step in and order a three-year moratorium on closing long-idled wells that are considered candidates for biogenic stimulation. Castellucci said he and others are working with state Sen. 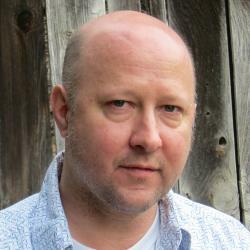 Kit Jennings (R-Casper) to introduce a bill in the upcoming legislative session. “Where I think we can go is work out some sort of time delay so I don’t have to keep making promises to my wife that I can’t keep as to why I’m dissipating our accounts,” Castellucci told the commission. “When we finally get this legislation hammered out … I’m hoping it will give the technology an opportunity to catch up,” said Jennings. 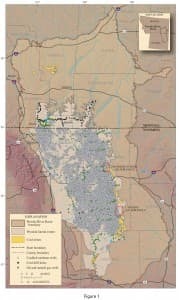 Still, the majority of CBM assets in the basin are in the hands of financially stable companies, according to state officials. While companies such as Anadarko Petroleum Corp. and Williams Production Co. have many idle wells themselves, it’s thought that they can easily keep the wells up to code and put the wells back into production if they see the market improving. So why don’t the big oil and gas players in the Powder River Basin snap up CBM assets from these struggling companies and launch microbial stimulation programs themselves? There’s a distinct cycle in the oil and gas industry that begins with small independents exploring for and proving up new plays, as was the case in Powder River Basin CBM. Then big companies buy up the fields, install the expensive infrastructure and take the primary production. Then they shift their drilling and production capital to the next resource play, leaving the small independents to figure out secondary and tertiary recovery — usually at much smaller volumes. This is the phase in which many small independents find themselves in the Powder River Basin; trying to survive low market prices long enough to launch microbial stimulation as the industry’s secondary form of production. The Catch-22 for these small independents is that the more idle wells they own, the more bonding they are required to put up to cover the growing liability. It’s also more difficult for small, struggling independents to get letters of credit for bonding than it is for the bigger players with strong finances. “So these little guys … have to put up their own CDs, houses and college funds and things like that,” said Jennings. Operators like Castellucci are forced to put all of their cash toward bonding instead of using it to plug marginal wells and revive others with microbial stimulation, he added. It puts the state in a tough position, too, because it cannot let operators off the hook by simply waiving the liability of idle wells — all based on the expectation that market prices will recover and the microbial stimulation technology will actually deliver results as promised. “But if we’re going to put a stay in place for those idle well bond amounts, we have to ensure that the citizens of the state aren’t left to hold the bag, ultimately, for those amounts. No matter how the legislation is crafted, I hope that that’s a consideration,” said commissioner Ryan Lance. While Sen. Jennings and the GOP often speak of accountability, that really only applies to others, never themselves. The dirty little secret is that by externalizing the costs to the public, private profits go up. Outside of a lab, is there ANY evidence that microbial stimulation produces commercial quantities of CBM? Sen. Jennings may be trying to get some breathing room for his CBM buddies, but the odds are that the taxpayers will ultimately get stuck with the plugging bill. Don’t bet the farm that bacteria will rescue the CBM industry. (Say, don’t conservatives blast Obama all the time about picking “winners”? Isn’t this what Sen. Jennings is doing now? And does he have any sort of track record for picking “winners”? 1. 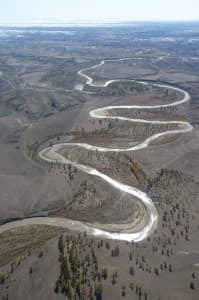 Why would the citizens of Wyoming feel ANY urge to lessen the financial burden voluntarily shouldered by a single California speculator, who unwisely risked much less than the value of many single ranches imperiled by these orphaned wells? Why would Sen. Jennings want to externalize the costs of a two-bit California speculator onto his own constituents? 2. I hope the present situation leads Mr. Lance and the Commission to ensure that future initial bonding requirements and mill levies are sufficient to cover true plugging, abandonment and reclamation costs.